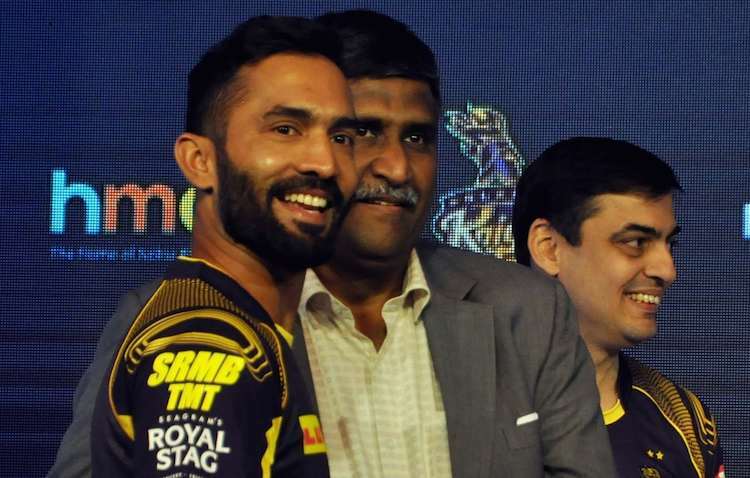 Kolkata, April 2 - Newly appointed Kolkata Knight Riders (KKR) skipper Dinesh Karthik on Sunday said he is aware of the expectations the team management has from him as he is filling in the big shoes of Gautam Gambhir, adding that he is at a point in his career where he can cope with it. "What Gautam Gambhir has achieved for KKR is phenomenal. He's left a benchmark that every season they have qualified as bare minimum. "And being a leader of the team, the management will expect the same from me. I'm aware of the expectations. Whether there would be pressure, 'yes'. As a captain, you're expected to at least go to the playoffs, that's the least anybody can expect. I think I'm at a stage where I can handle it and get the best out of the team," Karthik said during KKR's jersey launch at the team hotel.